Dave’s work is all thrown on the potter’s wheel and very high fired making it long lasting and durable. His pots are traditional in style but with a contemporary finish. His rich glazes are deep, textural and beautiful in their own right. He aims to give his pots a minimalist feel with clean lines and the criteria that form follows function. Throwing lines are emphasised which along with his vibrant blues and the curled handles have become trademarks. 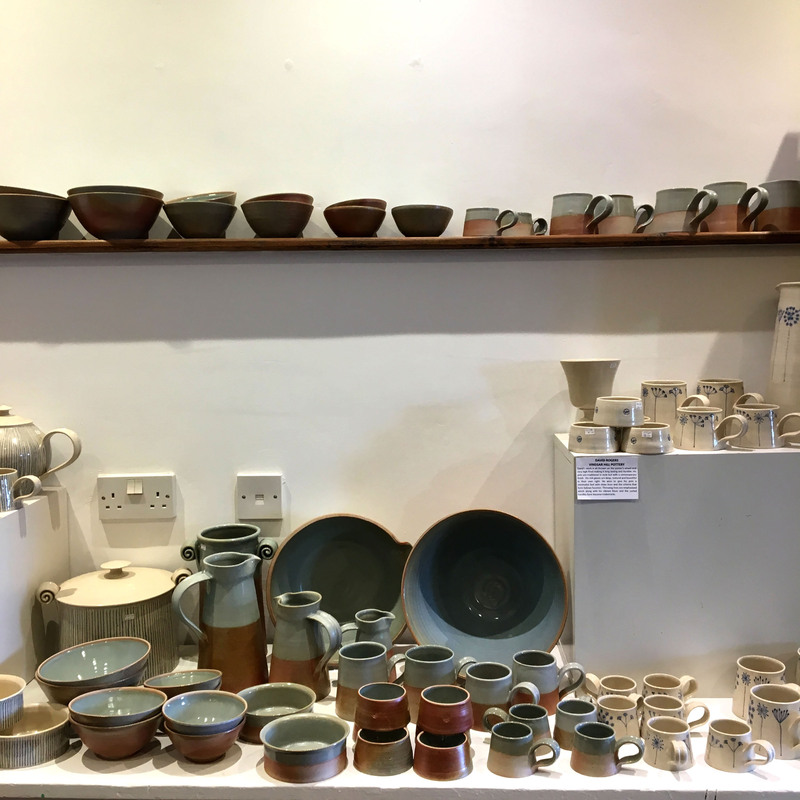 Recent work includes a fantastic range of striped cream tableware and his new found love, woodfired pots. He built his own wood-fired kiln in 2011 which enabled him to experiment and develop his work further.